We’ve got a packed lineup today for Boosting the Signal, y’all–this second post is courtesy of Danielle Ackley-McPhail, who’s come across my radar thanks to a couple of Kickstarters I’ve supported, as well as the Outer Alliance mailing list. 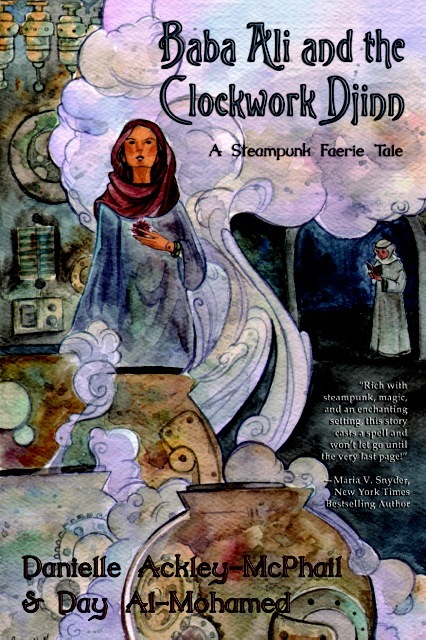 Danielle has a work coming out in September that she wants to get the word out about now, and I gotta say, the concept of a clockwork djinn makes me go ooooo. 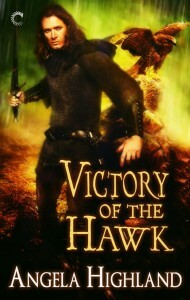 Free…I will be free, and no little tinker boy is going to stand in my way. I have ruled the Nejd for decades. I have delivered greater and more knowledgeable men than he to their final meeting with the Almighty. I will not be thwarted by a clueless lad who is barely aware of the matters he disrupts. I have been charged with finding and retrieving the fabled treasure of Nader Shah, then must deliver it to my master, the Qatar Shahanshah. I could not care less if I should discharge this duty. After seventy years bound to this cursed desert I would claim what treasure I may for myself and forget the Qatar Dynasty. Yet I can never forget the spells that bind me, not only to this place, but to this life of servitude. I cannot leave the Nejd without the legendary Peacock Throne and its associated treasure. A treasure I have found, yet ancient magic prevents me from taking it up and purchasing my freedom with its coin. Still, I have secured it and have vowed I will find a way to break the spell binding both it and me. I am so close. Nearly I have had the key within my grasp, only to have a tinker boy threaten to take the prize from me. I will not sit back and allow this Baba Ali to strand me for all time among these sands. At first I sought my freedom and an end to the line of Farzeen, the guardian set upon the hidden treasure by Shahrokh, the last shah of the Afsharid dynasty. Now? Now I seek an end to Baba Ali…the treasure be damned. Win the Book: Goodreads giveaway–expires on 5/30/2014!